Communicating in China is often a challenge for first-time visitors, particularly people who are traveling independently and spending time outside of Beijing. The farther you stray from China's concrete heart, the more the language barrier becomes...challenging. Overall, English-speaking travelers are blessed as they travel throughout the world. English of varying quality is prevalent in all tourist destinations. Parts of China, especially the rural areas, can be an exception. English menus may or may not be an option, and you might have to rely on the goodwill of strangers for help when buying tickets. But with a little patience, hacking through the cultural differences can be fun, adventurous, and rewarding! Don’t worry: language barriers are certainly not a valid reason to dread traveling to a place. Difficulty communicating didn't even make the list of 10 things travelers hate in Asia. You can usually charade and gesticulate your way through simple communications by pointing or acting out what you need. Just in case your best attempts fail, you need a backup plan for getting your point across. Although not being easily understood can be frustrating, the staff in tourist-oriented hotels and restaurants will usually speak just enough English. As you travel farther afield, the language difference becomes more frustrating. Those few words you diligently learned in Mandarin may not work. Even if you nailed the tones perfectly — a feat in itself — not everyone speaks Mandarin! The language barrier in China is often a prime ingredient for culture shock. Fortunately, there are some good ways to keep culture shock under control. Although none of these options is a magic fix, a combination of all will help you to be understood. Phrasebooks: Although you should try to learn some Mandarin while in China, doing so will greatly enhance your trip, no phrasebook is going to realistically help break down the language barrier in China. Google Translate: The same applies to translation software. Although an impressive tool, the Google Translate app will lead to some pretty comical misunderstandings. Charades: All travelers default to charades to get by when necessary. But even the usual pointing (to be polite, don't point with a single finger) and gesturing seems to fail in China. Cultural ideologies are just too far apart. Motion with your hands for chopsticks, and your waiter may bring you a pencil! Point It Book: A Point It book or equivalent can come in very useful on extended trips to China. The small book contains thousands of categorized thumbnails for items, food, emergencies, and other essentials that you can simply point to when trying to communicate. Need to say something about your spleen? There's a diagram of the human body; you can point to the organ. The Point It smartphone app (purchase required) is another option, however, having a way to communicate without distracting someone with an expensive smartphone is more ideal. Your Smartphone: If out of options, bringing up a photo and pointing to what you need can be a great visual queue for staff who want to help but can't understand you. Take photos of everyday items and scenarios that you can use later. For instance, if you need a room with two beds, take a photo of one of your current rooms with two beds then show the photo when checking into a new hotel down the road. You can get around the language barrier in authentic restaurants by pointing to dishes that other customers are eating. Pay attention as you're being seated to see if anything looks appetizing. When indicating something, use your chin or full hand to be point; doing so with a single finger isn't polite). Some establishments may even invite you back into the kitchen to choose what you want prepared! If you still want to eat there after a glimpse behind the curtain, point out some ingredients that look fresh. Staff will sometimes disappear to grab an employee who speaks a little English to help you order. Many tourist-oriented eateries in China have Chinese and English versions of their menu. You can guess which one is more expensive. Ordering from the English version also reduces your chances of enjoying authentic Chinese food. Large bus and train stations will usually have a ticketing window for foreigners staffed by someone who speaks at least limited English. Look at the signs above the windows or try to find a kiosk that advertises English capability. Most travelers encounter their first difficulty communicating in China after taking a taxi from the hotel. Taxi drivers often speak very limited English, if any at all. They not even understand the word "airport." You obviously don’t want to accidentally be taken to the train station when you have a flight to catch — beware, it happens! Grab the hotel business card so that you can show drivers the address in Chinese when you're ready to return. Ask the reception desk to write destinations, food, or other useful terms in Chinese. You can show these scribbles to drivers. This is also a good opportunity to get recommendations for authentic restaurants and such. When using a taxi in China, ensure many times that the driver understands your destination. They may act like they understand at first to avoid losing a customer but later drive you around in circles looking for someone who can help. Knowing how to say hello in Chinese is a great way to break the ice with locals and get to know a place better. You’ll often get a smile and a friendly response, even if that is the extent of your interaction in Chinese. In China, you won’t have to learn how to bow as in Japan or wai as in Thailand. Instead, Chinese people may opt to shake hands with you, albeit a much looser handshake than what is expected in the West. Speaking Louder Doesn’t Help: You’ll inevitably encounter uninformed tourists speaking loudly to locals, assuming that adding volume and speaking slower will help them to understand better. As you can imagine, this doesn't work. Would you be able to understand Mandarin if it was given to you louder and slower? If someone doesn’t understand you, simply repeating the same words won’t help. Don't make yourself look like a rude tourist. Getting It Right: Unfortunately, your reward for nailing a tone-perfect hello or expression in Mandarin will inevitably be a friendly stream of more Mandarin directed your way. Just by attempting to speak the language, strangers will sometimes give you way too much credit and begin speaking to you conversationally! Mandarin Works Best in Beijing: Whatever you learn in Mandarin will be infinitely more useful while near Beijing. The farther you travel from the capital city, the less luck you’ll have finding Chinese people who can understand your messy attempts to get the tones right. Alphabets Aren't the Same: Pointing to a card, map, or guidebook with a phonetic alphabet isn’t going to help others to understand you, just as you can’t read Chinese characters. You can always ask an English-speaking friend or the reception desk to write Chinese characters for you to show to drivers. Know a Few Phrases: Arriving in China armed with these useful phrases in Mandarin may save you some stress. Learning a tonal language such as Thai or Mandarin isn't easy. To untrained ears, you’re saying the word correctly, however, no one seems to understand. Add to this the fact that most words in the Chinese language are very short and deceivingly simple, often only three or four letters long! Without applying the correct tone, even getting someone to understand the two-letter word ma may not work. Knowing a few words in Mandarin will certainly enhance your travel experience, however, don’t expect everyone to understand your initial attempts. Chinese people who are accustomed to dealing with tourists may be able to understand your mispronounced tones, but people on the street probably won't. Plus, there is always a chance that the person with whom you are speaking may not even understand much Mandarin. Chinese people from different provinces sometimes have trouble communicating with each other. Standard Chinese, aka Mandarin, is considered the national language throughout Mainland China, but many people still speak their own dialects. Young people may understand Mandarin better because they were taught in school, however, you may have less success when speaking with older Chinese people. 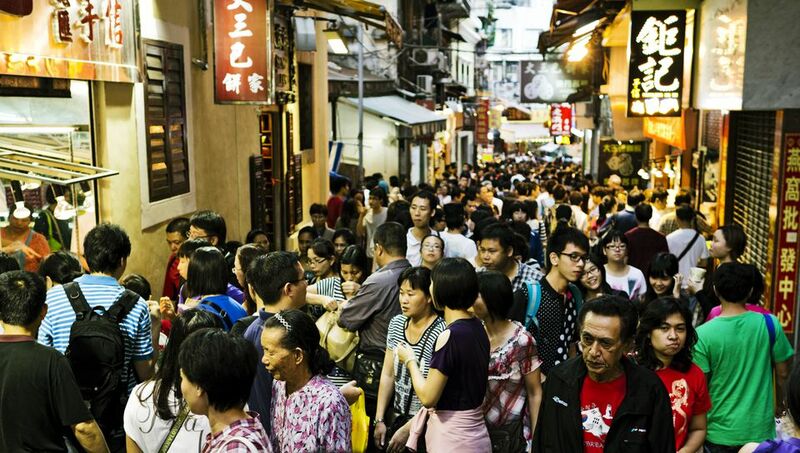 Cantonese — very different from Mandarin — is still taught and spoken in the south in places such as Hong Kong and Macau. Chinese people will often draw the correlating symbol in the air or on their palm while trying to communicate. While this helps people from different regions communicate with each other, it won't help you very much unless you read Chinese! The concept of saving face applies directly to communicating in China. Never cause someone to feel embarrassed because they can't understand you. Stay calm and patient at all times. As a guest, it's up to you to speak the local language, not the other way around. Be warned: To avoid a potential loss-of-face situation, people will often nod and say "yes" even though they didn't understand you! Don't assume that "yes" is always an affirmative in China. You’ll obviously use numbers frequently in everyday interactions while in China. Prices will be quoted to you in Chinese. Miscommunication during negotiations — yes, you’ll need to negotiate when buying souvenirs — can have annoying consequences. To prevent arguments and embarrassment when negotiating prices, the Chinese use a finger-counting system to express numbers, similar but slightly different than our own. Being able to recognize the hand symbols for each number may come in handy in noisy, frenetic markets. Some merchants who can read Arabic numerals may have calculators available at the checkout counter. If so, you simply pass the calculator back and forth with counteroffers until an agreeable price is reached. Tip: You can take budget travel to the next level by learning the Chinese symbols for each number. Not only will learning Chinese numbers — it's easier than you think — help you to read tickets (e.g., seat numbers, car numbers, etc), you'll be able to understand the Chinese prices on signs and price tags that are lower than the English version. What Exactly Is a Laowai? Undoubtedly a word that you’ll hear often while in China, foreigners are referred to as laowai (old outsider). Although strangers may even point while calling you a laowai to your face, the term is rarely meant to be rude or derogatory. The Chinese government has been trying to discourage the use of the word in media and daily use for years without much luck.